Following its 23rd edition in 2017, Dublin Fringe Festival will seek applicants for two of the top arts jobs in Ireland. After four years at the helm, Director Kris Nelson will depart to join London’s world-renowned biennial theatre festival, LIFT, and General Manager Amy O’Hanlon will join The Ark, a dedicated cultural centre for children, as General Manager. Both will take up their new roles later in 2017. Recruitment for the new Festival Director and General Manager of Dublin Fringe Festival will begin in the coming weeks. As the home to bold ideas, brave performing arts and adventurous audiences, the door is open for daring, determined and passionate individuals to lead Ireland’s largest multi-disciplinary arts festival into 2018 and beyond. 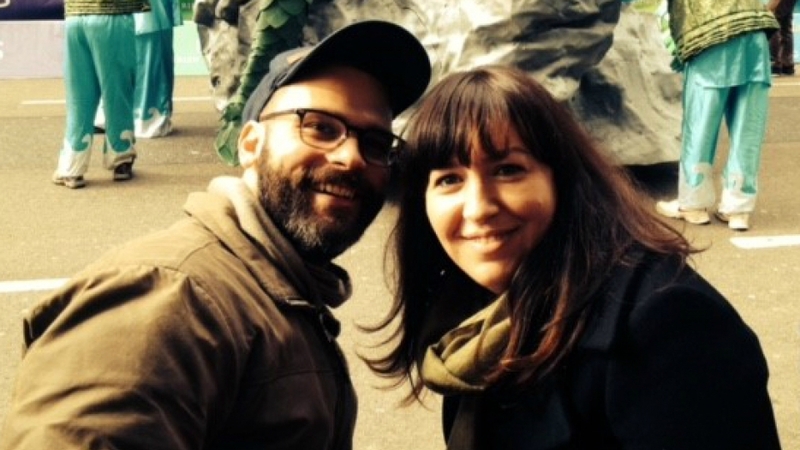 Kris Nelson and Amy O’Hanlon started their Fringe journeys together in September 2013. Looking back at their impressive tenure, Fringe’s artistic ambition and audience numbers have grown from strength to strength. The festival’s dynamic team has flourished and the organisation has evolved under robust and collaborative leadership. Including the 81 shows opening on Dublin stages this September, Nelson has curated a total of 308 shows over four editions of the country’s leading multi-disciplinary arts festival. Audiences have witnessed countless incredible Fringe moments: brave large-scale outdoor work like 2Fik’s photographic performance art/fashion shoot revision of The Marriage of Strongbow and Aoife and HARP | A River Cantata with Ulysses Opera Theatre on Samuel Beckett Bridge; lighting the spark of unstoppable shows such as Dublin Oldschool, How to Keep an Alien, and Charolais; the triumphant return of the Spiegeltent first to Dublin’s Northside in 2015, then in a sumptuous sixteen-day garden party in Merrion Square in 2016; bold avant-garde masterstrokes from Brokentalkers, Junk Ensemble, Emily Aoibheann, Philip Connaughton, Aoife McAtamney and Ruairí Donovan; theatrical adventures from Collapsing Horse, Louise White, Shaun Dunne and Company SJ; a group of 21-year olds commissioned with carte blanche to mark the festival’s 21st birthday; the first steps of sky-rocketing careers for Irish comedians Alison Spittle and Al Porter; the championing of brave new Irish voices such as Malaprop, Maud in Cahoots, Red Bear and Seán Kennedy; eclectic encounters with late night circus in the treetops of Phoenix Park from Loosysmokes and high-octane body slams and melodrama from Over The Top Wrestling; stellar presentations from international trailblazers Tanya Tagaq, Matija Ferlin, Mx Justin Vivian Bond, Kim Noble, Company 2, Hot Brown Honey and Claudia Dias; great craic from Lords of Strut, Eleanor Tiernan and Foil, Arms and Hog; important new collaborations with artists, institutions and festivals in North America, Australia and Europe; the first ever appearance of Fringe on the Abbey Theatre’s stages; the co-production by Fringe of THISISPOPBABY’s RIOT – the first Irish show to headline the Spiegeltent – in a year that saw the highest festival attendance in over a decade. Topping off an astonishing term at the heart of Ireland’s performing arts scene, Nelson brings a distinctive Irish and Canadian touch to Fringe 2017, with a series of exciting collaborations between artists from Vancouver, Ottawa and Gatineau, and their Dublin counterparts. Dublin Fringe Festival reveals its ambitious 2017 programme on 12 July. It’s an uproarious sixteen days of thrilling, provocative events. Shaking up Dublin 9-24 September with new perspectives, urgent ideas and unforgettable moments, it’s a city takeover, showcasing the brightest stars from near and far. Be sure to catch Kris Nelson and Amy O’Hanlon’s final contribution to this vital festival. The festival launches on Wed 12 July, and all festival shows go on sale on 13 July 2017.